The casual user’s survival guide! For users who understand the basics and want a brief text to demonstrate the less intuitive functions. This book quickly gets down to the issues that many people grapple with when trying to use some of the more advanced features of the software and enlightens readers on the traps that some users fall into and how to avoid them. It demonstrates how the software ticks and explains some tricks that may be used to become more productive with the software and generate better schedules. Suitable for people who understand the basics of Microsoft Project but want a short guide to give them insight into the less intuitive features of the software. It is packed with screen shots, constructive tips and is written in plain English. 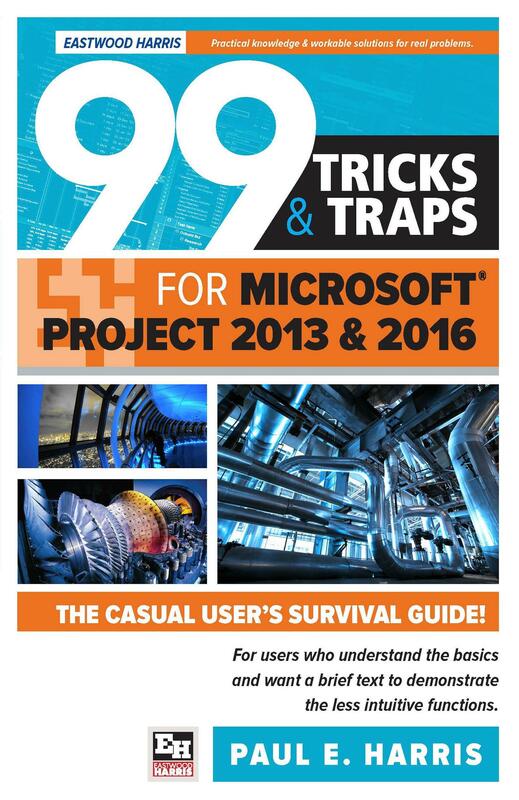 The book is based on the Microsoft Project 2013 and 2016 but may be used with earlier versions of Microsoft Project as this book points out the differences where appropriate. Paul Harris is the founder and director of Eastwood Harris Pty Ltd, a Melbourne Australia consulting firm that serves project management professionals, engineers and large organizations around the world. Eastwood Harris offers high level consulting and training on project management and controls. Harris is the author of more than a dozen books on project management software and is a Certified Cost Engineer, a certified PRINCE2 Practitioner and a member of the Project Management Institute (PMI). Visit his web site at http://www.eh.com.au.